Adding more as I create them! Takes a little while to make each image! I've come up with my own descriptions, keeping them within fair reason! 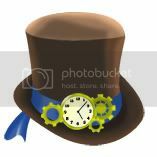 Wearing this hat gives the user a strong desire to wear a monacle and an intense craving for tea. Int +2. If equipped with Monocle gives the user -5% off variable cast time. Gives an additional -5% off variable cast time if upgraded to +7 or higher. 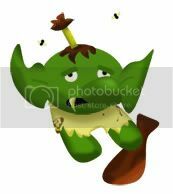 A tiny (yet very VERY smelly) forest troll just big enough to fit on your head. Str +2. Warning: May cause rude mannered forum posts. A precious letter written by your true love. You keep it with you always. Int + 1, Matk + 5. 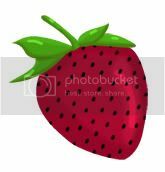 A ripe strawberry that is sweet and delicious. There is no helping chewing on the stem! Str + 1, Atk + 5. Edited by Kinnay, 02 February 2011 - 07:09 AM. Added a few more headgears! I like the strawberry, it's much cuter than the ugly pirate dagger. Boo for lack of interest.